One Year and we have come full circle. March 21, 2016 we found ourselves back home in Asheville, NC. What a ride it has been! We visited 24 states and stayed in 54 campgrounds. We met some amazing people along the way and so enjoyed visiting with old friends and family across the country. While we were not without problems this past year, that would be impossible, the good times far outweighed the bad. Everyone asks what our favorite place was. That is a question that is impossible to answer. There were just too many favorites! Some places stick out more than others. The International Peace Gardens in North Dakota was a hidden gem. The Sunken Garden's in Lincoln, NE. We thought MT. Rushmore, in South Dakota might not live up to it's reputation but it did. Yellowstone in Wyoming was everything we expected and more. Craters of the Moon National Park in Idaho was surprisingly beautiful and the Grand Tetons were breathtaking. Yosemite is already calling us back and Joshua Tree was the most unique, both are in southern California. in NM may be close to the number one spot. Some cities have done amazing things with their downtown's. Deluth, MN has developed theirs into a great tourist place. Of course Seattle, WA is so much fun. The river walk in San Antonio, TX was incredible. New Orleans, LA is also calling us back. We explored 7 of the Presidential Libraries and Museums, with Jimmy Carters being our favorite. Lots of history lessons were learned along the way, from the Lewis & Clark Trail, and the Oregon and Mormon Trails. A stop on the Pony Express. Humbled by the Selma to Montgomery walk. Walking in the footsteps of Nancy's Great-Grandfather at the Quincy Mines in MI was a great experience. Roadside Oddities were a fun thing to look for and we found close to 400 of them. The biggest ball of paint in Indiana is still our favorite. We found eleven Peter Toth Indian statues on the Trail of the Whispering Giants. 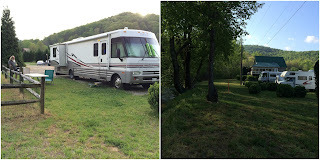 Once back home we stayed at the Hominy Valley RV Park, and loved it so much we plan to stay here next year again. 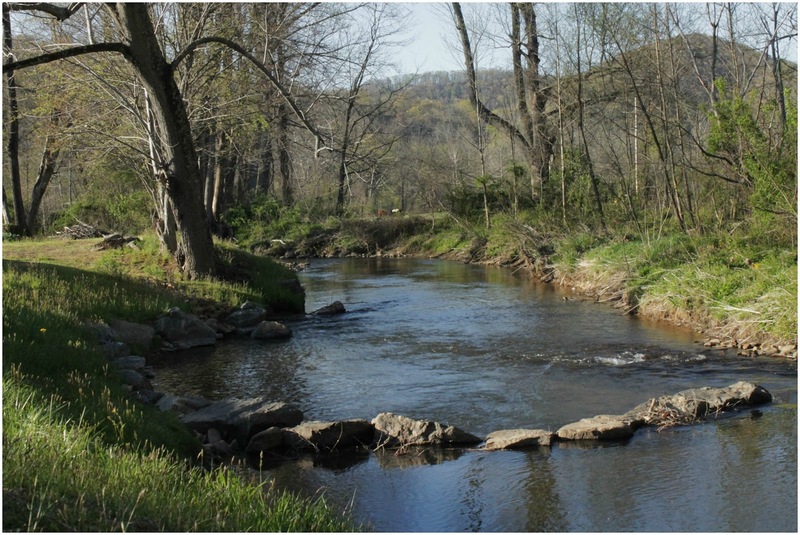 We were about 15 minutes from downtown with beautiful mountain views and a lively creek right in front of us. We had work done on the RV while here, and our dear friend Janet McAfee put us up for 4-nights the first time and 2-nights the second time. 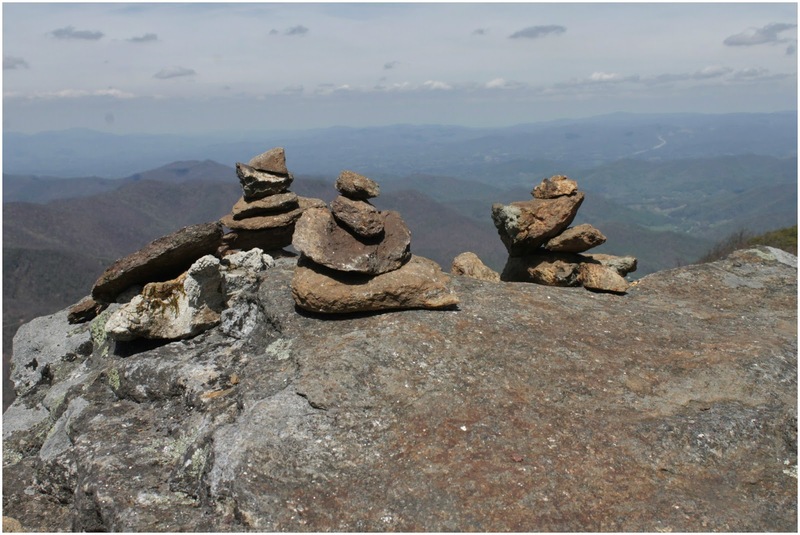 Finding people to work on the RV is not easy, and finding one is Asheville is impossible. Richardson's RV in Greer, SC came to the rescue and was able to fix our AC and heat-pump issues. We had a good once over done on her to make sure she is road ready for another year. The same was done with the car as we put double the miles on it compared to the RV. While in Ashville we reconnected with friends. Judy and Billie hosted dinner a couple of times, Donna and Nancy enjoyed some wine while catching up and Sally joined us for some cider at the Urban Cider Company. Canio met us for lunch at the Village Wayside. We got to see Christine in her new role as the GM at the Green Mansion, lunch with Trica, a friend from Ann Arbor who now lives in Tennessee, and of course Janet who we are not sure what we would do without. We visited all of our favorite places to eat and drink. We hit our favorite stores and best of all some of our favorite nature places. 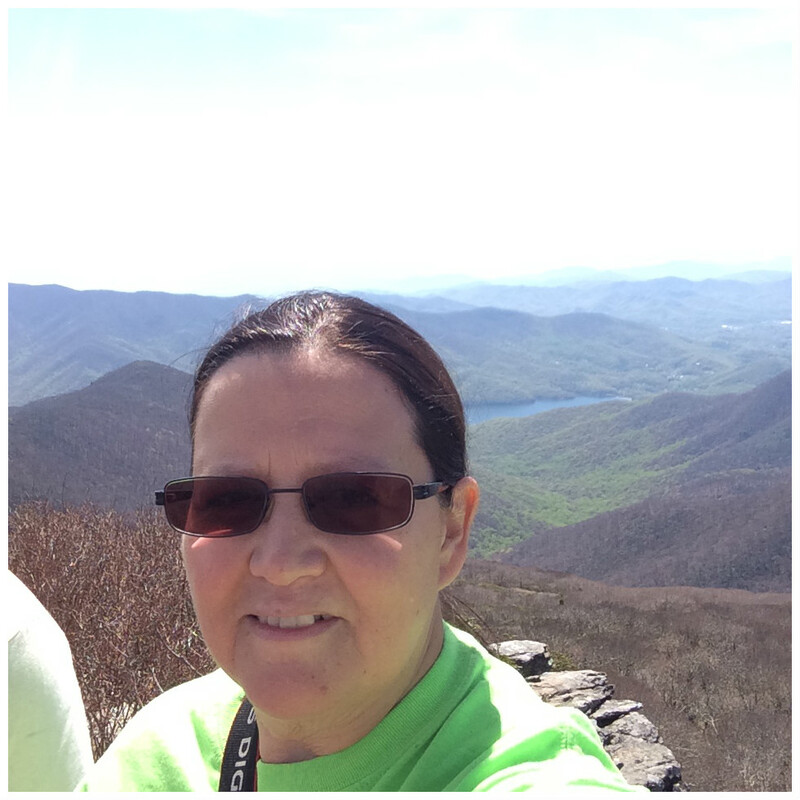 Nancy was so happy to get to the Craggy Pinnacle. 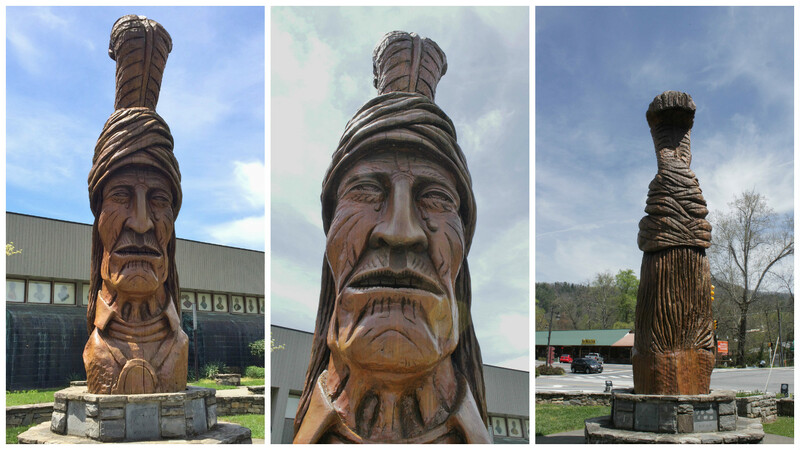 One of the North Carolina Peter Toth Indians is located in front of the Museum of the Cherokee Indian. This is the 63rd carving on the Trail of the Whispering Giants, carved from a Sequoia log in 1989. It is a statue of Sequoyah (1770-1840) who created the 85-character Cherokee Alphabet. It stands 18-feet tall. The museum was very interesting and a story that could have been told with much bitterness was presented with honesty and dignity. We got to see hear some great music, something we had been missing while traveling. We saw Piper Jones at Jack of the Woods, they were amazing. Woody Pines is one of our favorites, we first saw him years ago in Manchester, MI and catch his show whenever he is back in Asheville. Nancy's niece Lillian came to visit for a few days, it was so nice spending time with her and showing her our town. A drive on the Blue Ridge Parkway, made her want to come back on her motorcycle. A hike at the Botanical Gardens was the perfect place for a little Reiki. We ate lots of good food and enjoyed coffee at more than one place. Nancy and Lillian even got some relaxing in at the Salt Cave. What a wonderful experience. 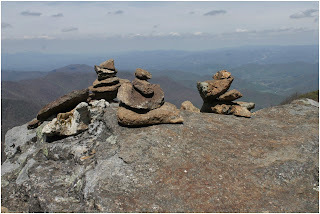 Saying good-bye to Asheville was so very hard but the road is calling and there are more amazing things to see and do. What ever IT is - do it. Don't wait for a better time, or more time, or more money, or or or... Do you want to take a class - do it - don't have time - find an on-line course. Want to travel more - do it - can't go far - so what - find places close to home - you will be surprised what is right in your back yard that you don't know about. Want to spend more time with family and friends - do it - make the time and don't wait for better weather, a cleaner house, a bigger yard - they really won't care just invite them over. Want to learn a new language, or craft, or musical instrument - do it. Stop making excuses and find a way to make it happen, even if it is on a small scale to start. We are so glad we bit the bullet and hit the road - we were very nervous and had no idea what is was going to be like, or if we would even like it. But, we also knew that if we didn't try we would always wonder and always kick ourselves for not trying. Ha! I am so glad I have you fooled - if I didn't write it all down I wouldn't remember either! Checking in on facebook helps a lot too! I am glad you have followed along and I think Oreo's are the perfect breakfast.